Howard Miller 625-613 Company Time II Large Wall Clock is a 34" wall clock with an antique nickel frame. 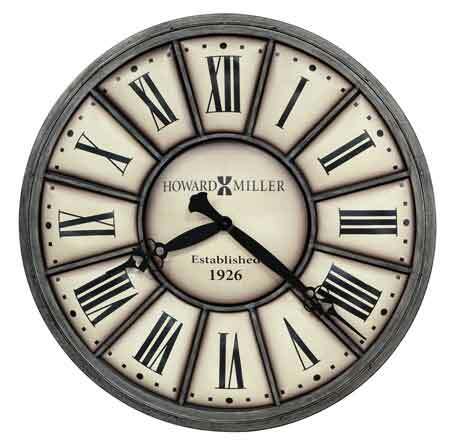 The metal center dial and numeral panels are heavily distressed and deeply dented for an aged appearance. The individual off-white number panels are curved and dented with Black Roman numerals centered on each panel. The accurate quartz movement requires one "AA" battery. 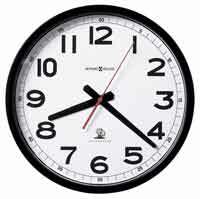 Always measure your area to make sure the wall you have will accommodate this large of clock. 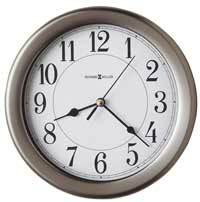 Size : Diameter 34", Depth 2.5"
Clocks for sale at The Clock Depot including the 625-613 at discount prices.